Kiváló minőségű elasztikus szalag - univerzális méret! Ez a szett a dán Lucleon márka legfelkapottabb karkötőit foglalja magába! Ez a 3 az 1-ben karkötő valódi fa gyöngyökből készült, 3 különböző dizájnnal - fekete, barna és csíkos színnel és mintával. A fekete karkötőt egy Lucleon feliratú fémgyöngy díszíti. Sokoldalú kiegészítő, amely játékossá teszi az elegáns öltözeted, de a strandon is megállja a helyét! A karkötő szett univerzális méretű. Very beautiful bracelets exactly as shown in the picture but unfortunately not strong. After 2 nights of sleeping there was already a bead in 2 split into bed. Set of three black and brown bracelets. Very good quality and very original. the quality is in the appointment except for this bracelet which presented a pearl with a defect of finish (broken wood pearl malformed with the manufacture) and which is seen ... for the price it is a pity, nevertheless it is seen in preparation! .... impossible to offer. I'm disapointed. Very nice processed and stylish product. Unfortunately, we did not have any luck with the one bracelet because the balls came off, but thanks to the super nice and competent team, we received a subsequent delivery directly and are satisfied. Keep it up! Cheap. delivered quickly. looks good. Very satisfied. I will definitely buy here again. Nice set, consisting of three separate bracelets. You can easily change or remove, because of the firm, elastic ability of the tires. Good quality, very happy. Satisfied with the product but the triple hard leather bracelet is out since April ... without information from you ... ???????????????????? ?????????????????? The bracelet is great, I can only recommend it. Supercoola bracelet for the sons;) Fast delivery. Fast delivery, everything was smooth, top. conform to my expectations to see to use ..
Top product. Was very much appreciated as Father's Day present. Fun and airy company with funny way of communicating. I found the delivery time quite long but nice product! Excellent price / quality ratio but delivery takes a little longer than normal in this time. The bead bracelets look good, also in color etc. And a fast service / delivery. I am satisfied! Do you doubt ff bell and you know it.
! k is all beautiful! I can not say much about it yet! I ordered from them a couple of orders to give to my little sons! Got my item the day after as promised. I'm really fond of the bracelets. The bracelet is nicely done, however, the beads are smaller than I expected. It would be nice to see a picture of the bracelet on one arm before deciding to buy it. Absolutely good - nice bracelet. Great quality and very good service! Very satisfied with the bracelet which is of a good quality. Super satisfied. Fast delivery good quality! Beautiful product, fast delivery and price / quality ratio is unprecedented. Trend line is a very nice store. Is also good with his customers. ! The Bracelet is also top! Very nice and does not break so quickly. The product is liked. Nice quality. The size is also good, friend has no thin wrists, but certainly not fat. 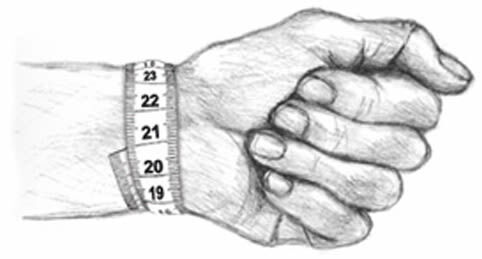 Are not recommended for men with thin wrists then they are really too loose. I thought the beads would be something swords, feels a bit cheap for € 18.95, sorry. Very satisfied .... a nice gift for my father. Fit is fine ...... highly recommended! Good product and nice price. It is a nice price for 3 bracelets. The quality is also good. Be careful that the bracelets are not very tight, so if you have a small wrist and you can not stand back, this is not recommended. Very satisfied with this set of 3 bracelets. Beautiful! Service and customer focus is unprecedentedly good! Klarer sig godt, Trendhim! Good value for money and very good fit. They are really fine and a 50's cheaper than in a physical business. Stylish and trendy! Minus in order not to order its size. Had to shorten the bracelet itself. Super nice bracelet came home with the post just a few days after I ordered them. Super pleased! Super cool with the 3 different colors, which everyone can give each and every look. Sitting comfortably on arm and not sleeping. Very pleased with the order: Cheap, fast delivery and good quality despite the price. Very stylish, trendy bracelet for a low price! The bracelets were beyond expectations, why? -You had a good size when the tires were sitting pretty hard. - Nice, especially the little stone on the black. -Enkla and fresh but still trendy. What was less good? The paint dissolve quite easily upon contact of water. Mvh Hugo. Christmas present for my husband. They look very delicious at him! Quick and good expedition and a plus that there was wrapping so it was just under the tree. Super cool bracelet. Bold style and good quality! Order it here at trendhim.dk and it came with the mail within a few days. Super service at a good price! Super nice bracelet that suits everyone. It is in good quality and gives a nice look. Highly recommend it.